irish pop that makes me thijnk of Hey Paulette. Will we ever see a band like them? Maybe not and they hold a rightful place at top of the jangle charts in this country. 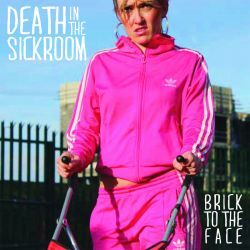 Not sure if Death In the sickroom are even aware of Hey Paulette but their legacy has laid the groundwork for bands like this. It’s guitar pop with a jangle and plenty of bass and treble. A nod to the Smiths for sure but the NME C86 sound didn’t make a noise for nothing and I can hear Wolfhounds and McCarthy behind the chord progression here. Ok they may not be asking “Should the Bible BE Banned” as McCarthy did back then but it’s clean sound is worth investigating.